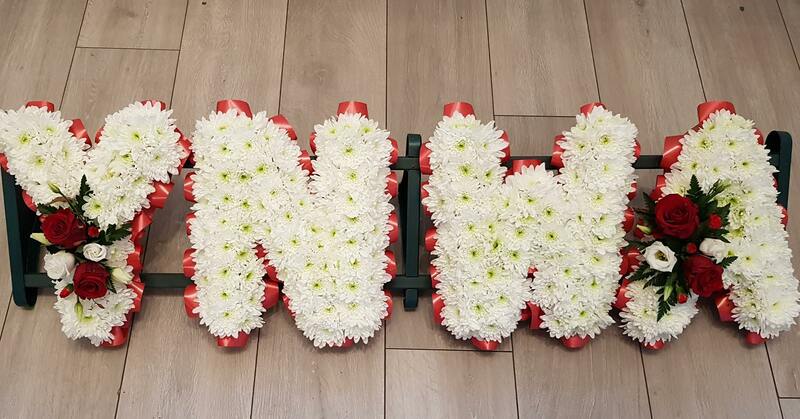 Our floral letters can be used to create a personal tribute for a family member, such as Mum, Dad, Nana, Grandad etc or spell out a loved ones name. 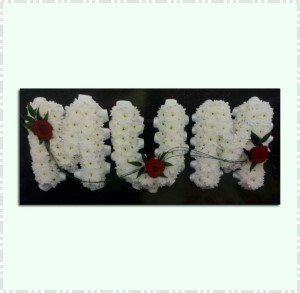 Massed in white chrysanthemum with coloured top sprays and pleated edge ribbon. 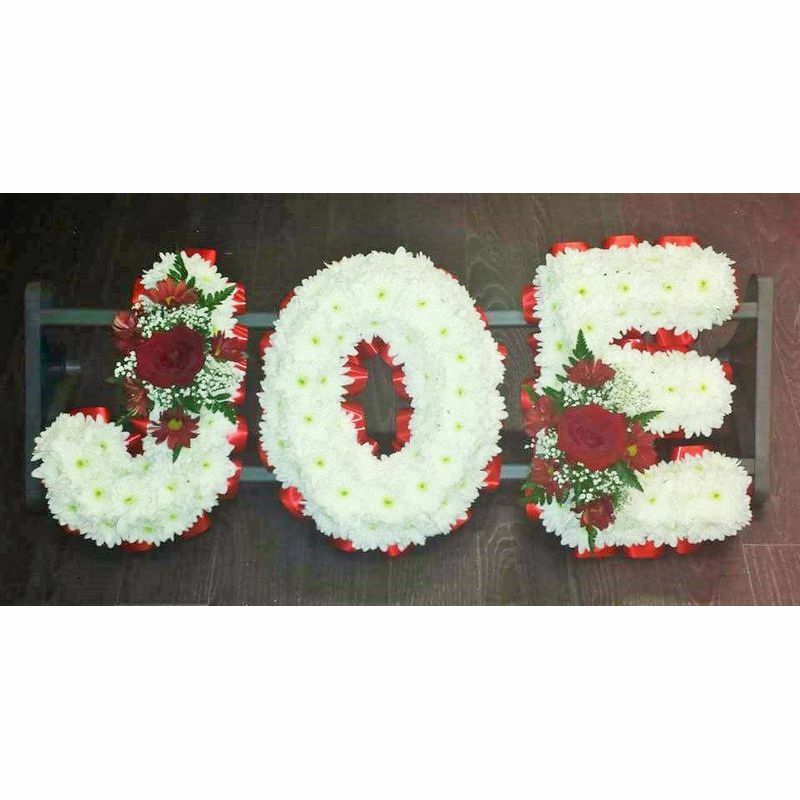 You can select one of the tributes from the list for a given name: For bespoke lettering please select 'Single Letter X' the quantity of letters you require to your basket, and specify your Choice of Letters in the Flower Info box along with the colour. 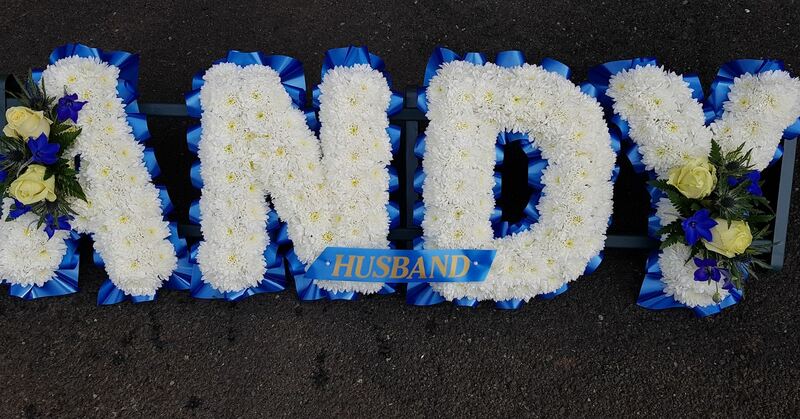 Please order funeral flowers at least 24 hours before the service.